Discover how to use your knowledge of massage to support clients with specific medical conditions! Step-by-Step Massage Therapy Protocols for Common Conditions is intended to give massage therapy students and practitioners the knowledge and confidence to work safely with clients who have medical conditions. Relying on her many years of massage experience, Charlotte Michael Versagi outlines the skills needed to assess wisely, think critically, and use techniques already learned and practiced in massage school to work with these clients. The text provides practical, thorough protocols to help therapists support their clients while steering them away from doing any harm. This text prepares the student in a massage program, or the therapist already practicing, to become an effective member of a client's healthcare team. The book is designed so that the therapist can quickly understand the basics of the condition, the most common strategies for medical treatment, and how to relieve pain and help the client deal with the condition. The book's easy-to-navigate organization helps create an effective learning experience, presenting the foundation for protocols in chapters 1-5, and then turning to specific conditions (arranged alphabetically) in chapters 6-44. Each condition chapter presents a comprehensive yet succint explanation of the condition-what causes it, how it develops, how it is treated, and how the massage therapist can assess the condition's effect on the client. 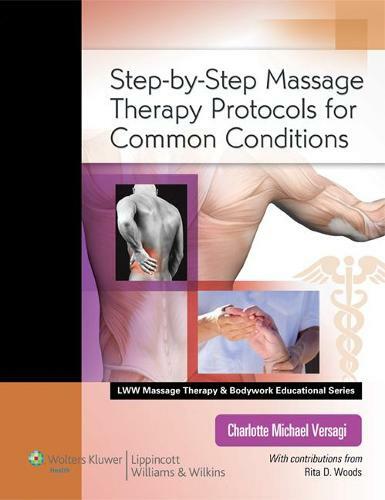 The central feature of each of these chapters is the Massage Therapy Protocol, which presents in tabular form a suggested protocol for supporting healing with massage therapy. Special Features Help You Successfully Implement the Massage Protocols-Pathophysiology helps readers understand the nature and progression of the medical condition. Thinking It Through offers a set of questions for the massage therapist to consider before working with the client. Massage Therapy Assessment guides therapists in evaluating a client's condition for the purpose of designing and implementing an effective massage therapy program.Therapeutic Goals help readers determine what is-and is not-a goal of massage therapy when working with a client who has a medical condition.Contraindications and Cautions alert readers when particular massage techniques may be harmful or medical intervention may be necessary.Review Questions assess understanding of the medical condition and its treatment.Bonus Online Resources!The companion website located on thePoint offers a fully searchable online version of the book as well as a sample client homework sheet, sample SOAP notes, and Dermatome map.